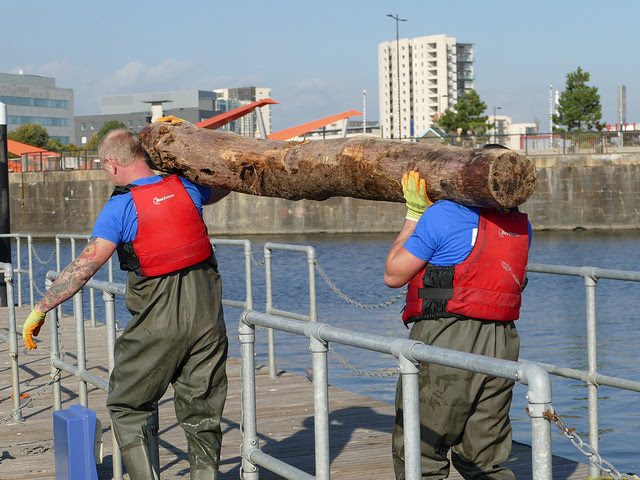 We got the weekend off to an early start with an event on Friday afternoon (19 October) at the Dr Who ‘beach’, in Cardiff Bay. And to add to the usual excitement, the event was filmed by ITV Cymru Wales, for an episode of their Coast & Country programme, to be shown on Friday 2 November, at 8pm. 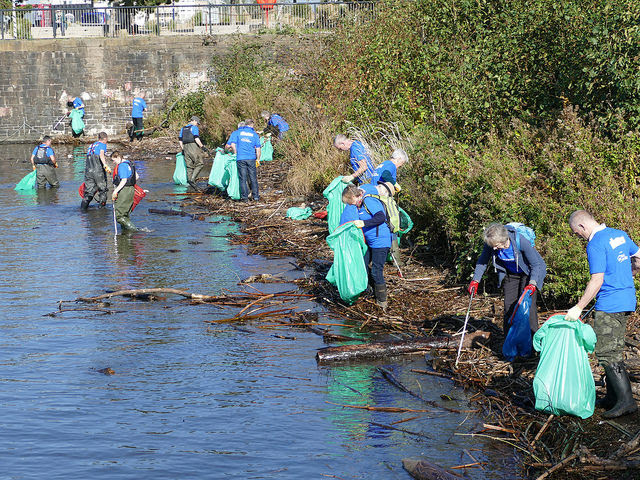 Despite the short notice, and its being on a weekday afternoon, an amazing 55 enthusiastic volunteers turned up to clear the beach of litter and logs brought down the Taff by Storm Callum, and do a litter-pick of the surrounding area. Maybe it was the sunny weather? Or the lure of the TV cameras? In under two hours, the group managed to fill two floating skips to over-flowing. 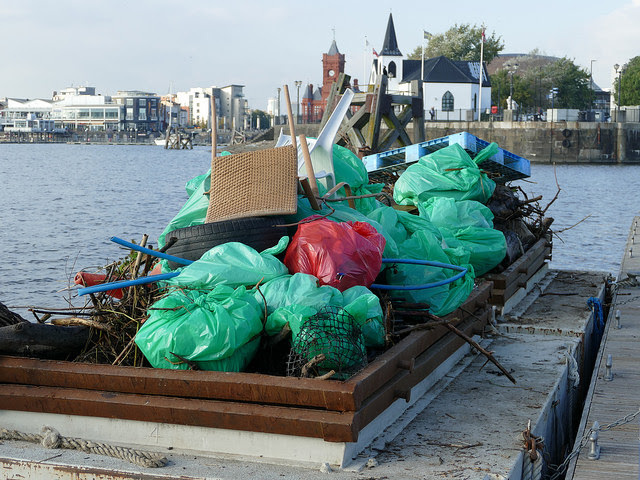 The washed-up rubbish and litter will be processed by Cardiff Council, and the wood will go for use as biomass fuel. 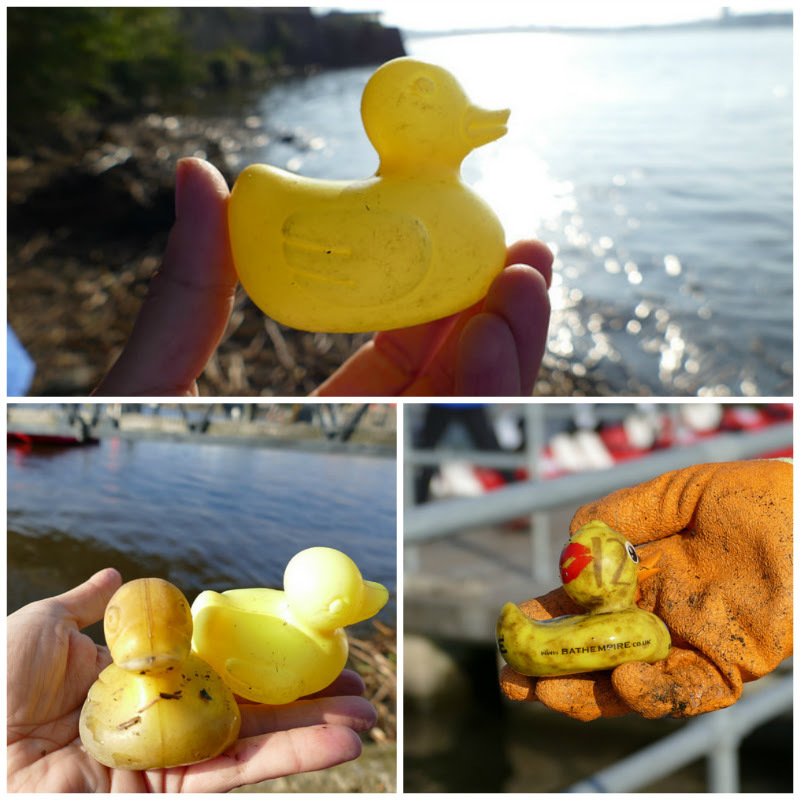 Amongst the litter were yet more yellow plastic ducks — we always seem to find at least one, and often several. One even had a number on its head, presumably from when it was used in a “duck race”, a popular (if misguided) way of raising money for charities. 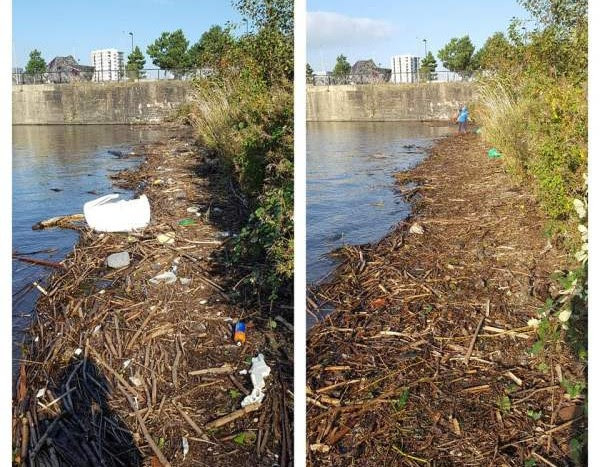 Given the current awareness of marine plastic pollution, it’s hard to believe that anyone would now intentionally throw plastic ducks into a river, no matter how good the cause. Lots more photos on our Flickr page.And our thanks to the Look Out Café for offering discounted post-event teas and coffees.